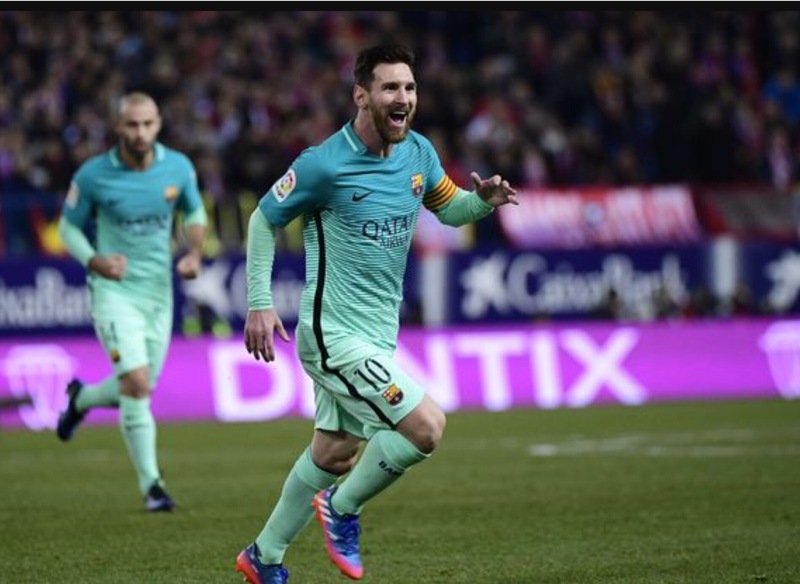 Yesterday, Atletico faced Barcelona in the first leg of the Copa Del Rey semi-finals. Both teams have been in good form. Barcelona started really well, Luis Suarez scored a fantastic solo goal. Later on Messi scored a superb screamer on the side of the 18 yard box. The first half ended 2:0 to Barcelona. The second half started, Atletico were playing really good at the start of the half. Antoine Griezmann scored a great header. Atletico were pressing, Griezmann nearly scored a goal from out of the box but it couldn’t help them. The match ended up 2-1 to Barcelona. Can’t wait for the second leg!! As predicted, it was a thriller of a match, however Portugal won and the mighty Ronaldo was injured within 20 minutes! Surprisingly, Portugal came better than ever and secured the championship. Payet bashed into Ronaldo and caused him to get injured, he tried to avoid it and played on but five minutes later, he called for a sub. Quaresma came on to make a difference, but not a lot. France played well in the first half but in the second half they lost their confidence. 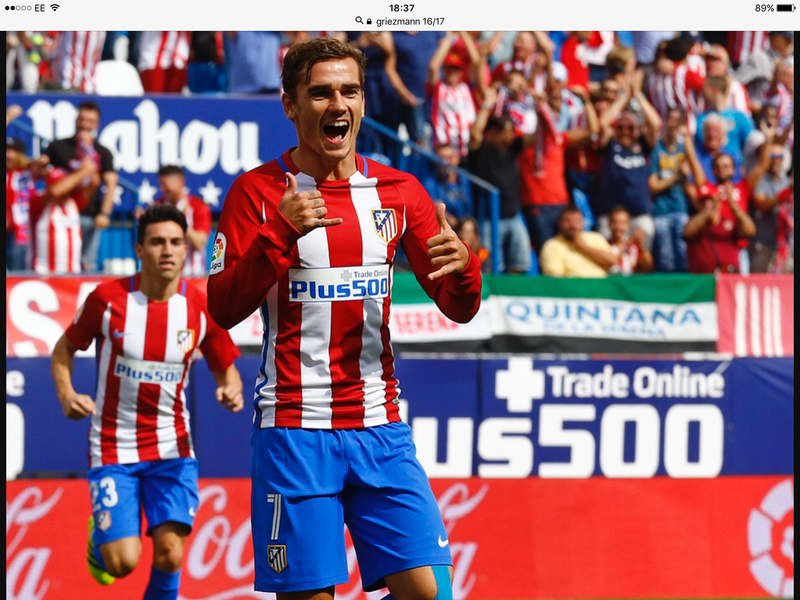 Top goal scorer Griezmann was good but not great in the game and missed some crucial opportunities. Payet came off for the speedster Coman and nearly did a fantastic assist for Griezmann. However, it was not to be. Eder scored the winning goal that won the Euros for Portugal and are probably still celebrating right now!!! Portugal have beaten the hosts in a similar fashion to the way Greece beat them in 2004. Posted on 9th July: Today is a promo about the thrilling Euro 2016 final match tomorrow. I am going to show you how they have been playing in this unpredictable Euro tournament. The hosts France have had an impressive tournament so far and they hope to win. The last time France hosted the tournament in 1984 they won it. They also won in 2000. The France top scorer and also the Euro top scorer, Antonio Griezmann, is the man to watch with 6 goals in this tournament. France are favourites to win this tournament. Let’s analyse both teams. France’s defence are brilliant with the likes of Evra (Juventus), Rami (Sevilla), Jallet (Lyon), Sagna (Man.city), Mangala (Man.city), Digne (Roma), Koscielny (Arsenal) and Umtiti (Lyon). In midfield, France dominate with Pogba (Juventus), Kante (Leicester), Payet (West Ham), Matuidi (PSG) and Coman (Bayern). Attacking wise, France are amazing because of Griezmann (Atletico), Martial (Man U) and Giroud (Arsenal). Portugal are hungry to win a major tournament. They have come close in the past, however, they’ve never won the tournament. Defensively, Pepe (Real Madrid) is the man! There is also Fonte (Southampton) to contend with. Midfielders include the 18 year old Sanchez (Bayern) and Mario (Monaco). There are 3 key attackers in the Portugese line up. These are Nani (Fenerbahce), Quaresma (Besiktas) and the mighty Ronaldo (Real Madrid). When the whistle blows at the start of the match tomorrow, we can expect to see both teams come to perform better than ever before. There is a lot to play for! I predict that France will be victorious with a 2 – 0 triumph!